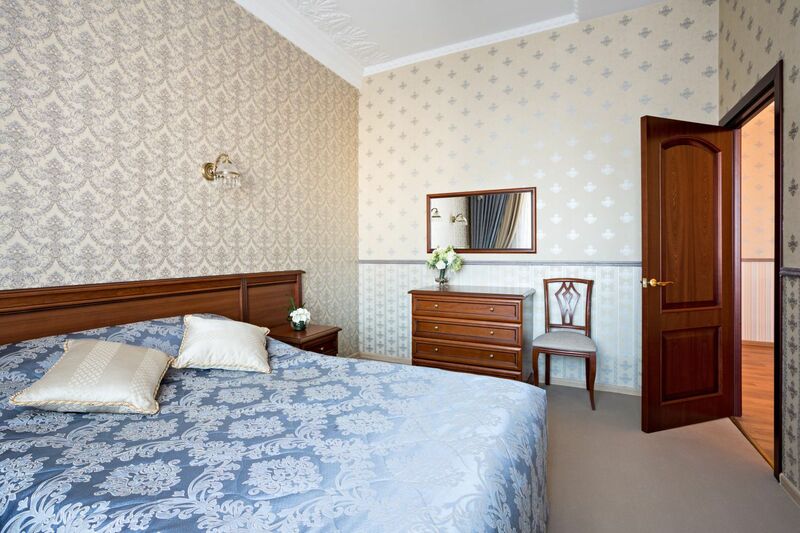 A spacious three-room Suite in silver-blue tones with genuine molded decor of the mid twentieth century is ideal for comfortable accommodation of visiting dignitaries, business meetings or unforgettable romantic weekends. 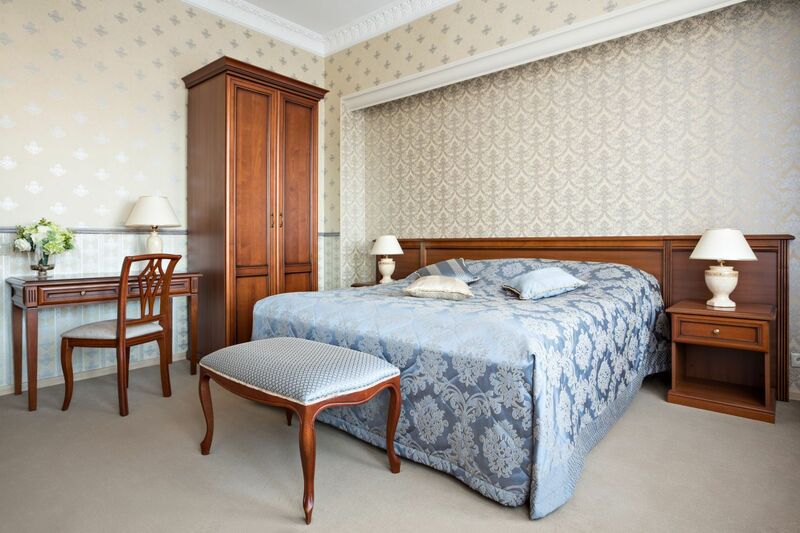 The room consists of a bedroom with a double bed and a living room with a sofa, dining and working areas. 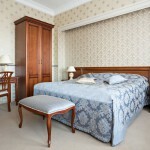 Décor of the dining area is completed with a dining table for 6 persons, a cupboard with a tea set and wineglasses. 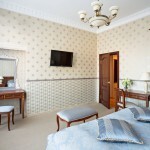 The room is equipped with two plasma TVs and two air conditioners. In the bathroom: hairdryer, vanity kit, bathrobe and slippers. Iron and ironing board are available upon request. 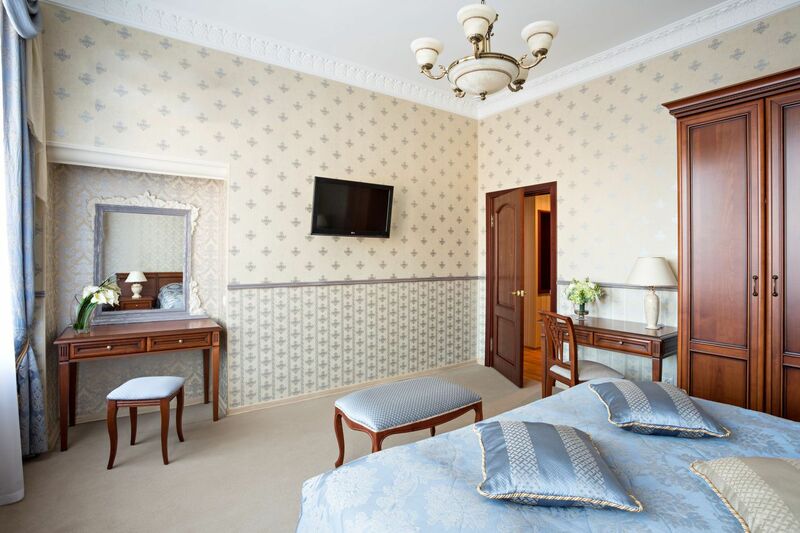 The room overlooks Triumphalnaya Square and Tverskaya Street. 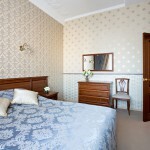 The room is located on the 7th floor. 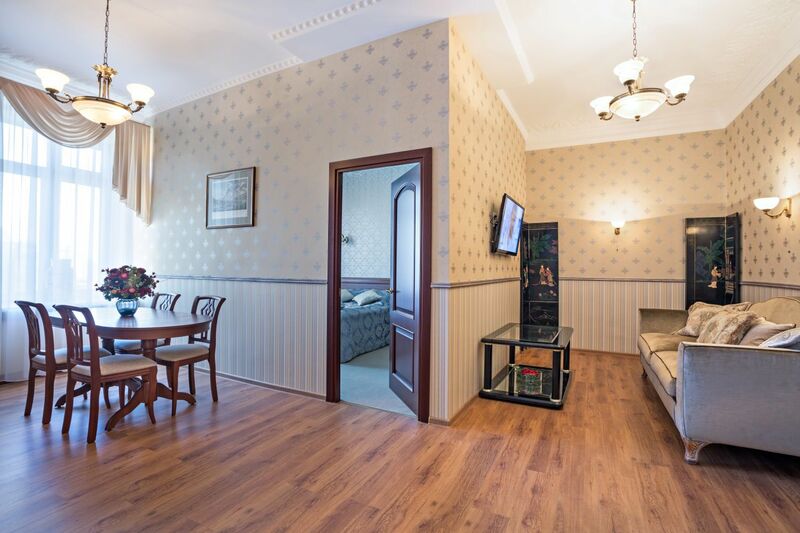 Living room area – 68 sq. m.